Today I saw what is definitely an early contender for the best film of 2011. 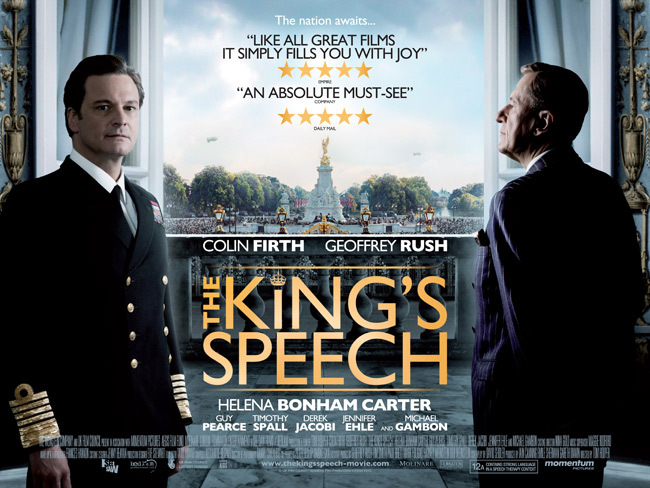 For those who are unaware of the story, The King’s Speech stars Colin Firth as Prince Albert, Duke of York. As the second son of King George V, Albert, or Bertie to his family, is not first in line to the throne. Nevertheless, he still has many public duties to perform but is held back by a serious speech impediment that caused him to stammer badly whenever speaking and especially in public. After a dreadful experience at his closing speech of the Empire Exhibition in 1925, Albert sought the help of Australian speech therapist Lionel Logue. The film follows the relationship between Albert and Logue through the death of George V, the ascension to the throne of Albert’s brother, Edward VIII, and his eventual abdication leaving Albert as King of a country leading up to war. 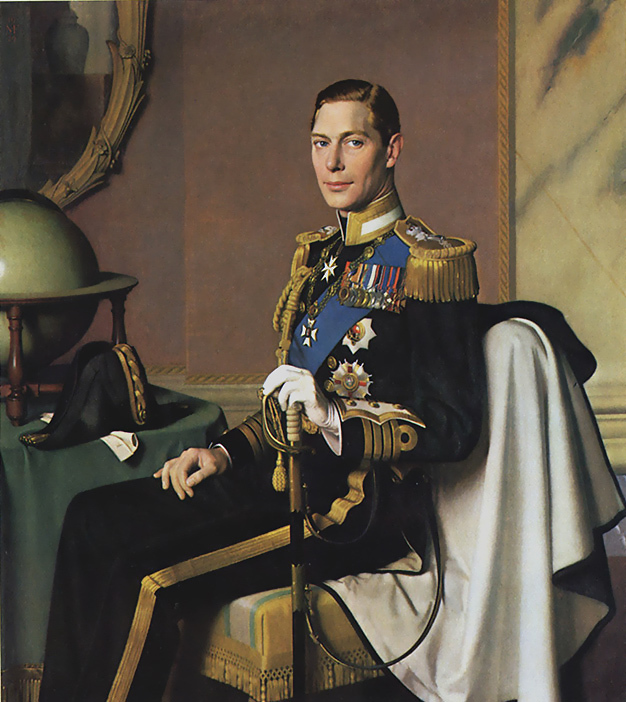 Now King George VI (Albert considered too Germanic to be used as a Regnal name), he must bring his people together in uncertain times and support them through the war. Colin Firth is fantastic in a performance that has rightly been pegged for all kinds of awards and shows us vividly all the struggles of growing up in a family as unusual as Albert’s, and what that can do to a person. All the while he is struggling to live up to the expectations of a family, an institution, a Country and an Empire. 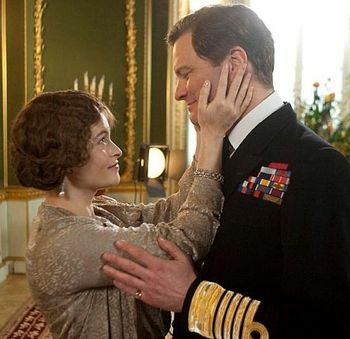 Firth is expertly backed up by Geoffrey Rush, with his usual brilliance, as Logue and Helena Bonham Carter in a role that’s really proved to me that I’d under-rated her as a serious actress, as Elizabeth, Albert’s wife. Also of note among a stellar cast are Guy Pierce as Edward VIII, Timothy Spall as Winston Churchill and Derek Jacobi as the Archbishop of Canterbury. The writing in this movie is great. There’s quite a bit of banter between the leads and there are some really hilarious scenes which I really wasn’t expecting considering the seriousness of much of the subject matter. Overall it’s a fantastic movie and easy to recommend to anyone. I expect it to win lots of Awards in February. 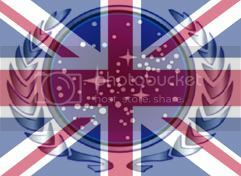 It’s been a while since my initial post on this blog but I think I’ve decided what I want to use it for now so it’ll hopefully be more frequent from now on. I came to watch Dollhouse recently with some trepidation. I watched the pilot when it first came out with some excitement. I’ve been a Joss Whedon fan for a while. Buffy was good and Firefly and Doctor Horrible were both fantastic so any new Whedon project was something to be excited about. I sat down to watch it with my fiancée and the pilot was pretty… meh. It just didn’t grab me and the concept made us more than a little uncomfortable. Clearly the concept of the Dollhouse is morally wrong in every conceivable way and there just wasn’t enough acknowledgement of that in the script. Too many of the characters seemed to have no problem with it. So we left it at that and didn’t watch any more. Over the intervening years, lots of people whose opinions I respect on the subject have recommended it to me and told me that it gets better after the first few episodes so when my fiancée got given it for Christmas and offered to lend it to me, I decided to give it another go. The pilot is still the same and I still have the same problems that I did with it at the beginning. Morality problems aside, it just isn’t that interesting, and the next few episodes aren’t a lot better. However, in the second half of the season the plot really picks up and twists start coming thick and fast. Episode six, ‘Man on the Street’ is the first episode that’s really any better than average and from then on they get better and better. They also get more and more into the morality of what the characters in the show are doing and it’s delt with a lot better as it goes on. The episode 11-12 two parter that rounds off the season one story line is really exciting, with guest star in Alan Tudyk getting to really show off how fantastic an actor he is. The real highlight of the set however is episode 13, ‘Epitah One’ that acts as the coda to the series. Set in the far future where the Dollhouse technology is out of control, it stars Felicia Day as the leader of a group of people struggling to survive in that future who stumble upon the long-disused Dollhouse and what they find gives us some teasers into the way the show is going to go in season two. If they keep up the quality of the last few episodes of this season into season two, I can see it being pretty good, but I don’t think it’ll reach the heights of Whedon’s previous creations.